For homeowners looking for a storm damage restoration company that will sufficiently return your house back to normal, turn to the experts at Waddle Exteriors. We have proudly served residents of Des Moines, Ames, and all surrounding cities in central Iowa since our founding in 1978. Our specialty lies in providing high quality repairs within the fastest timeframe possible so that you can go back to living your life like normal. 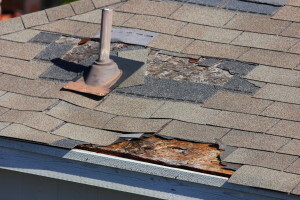 One of the biggest advantages of choosing us over our competition for a storm damage project is that we employ a certified insurance adjuster that will oversee the entire project and negotiate with your insurance company on your behalf. When we conduct an initial consultation at your home, we will utilize a program called Xactimate to measure the exact scope of your damage and determine the materials we need to fix it. This is especially useful because the majority of insurance companies also utilize this software which makes negotiating with your insurance company that much easier. For more information about why we are the best storm damage restoration company available to residents of Des Moines, Ames, and all surrounding cities in central Iowa, contact Waddle Exteriors today.